Sam Giffin’s career was going from strength to strength. His ski and snowboarding films were becoming more and more well regarded and there seemed to be no mountain left unconquered by him and his brothers. Until, it quite literally all came tumbling down. Sam was caught in an avalanche and the experience changed his whole perspective on the industry. Was it really worth risking everything, just to get a good shot of you on the mountain? We spoke to Sam to hear more about his story “Into the White” and his newest film, Kodak Courage. You and your brothers all ski and snowboard. Is mountain life something that you grew up with? I grew up about 30 minutes away from Colorado’s best mountains so we were there whenever we could be – it was pretty hard to keep us away from the slopes! I started skiing at the age of three and then switched to snowboarding at 13. My oldest brother was on Telemarks, middle brother on skis and so it sort of made sense for me to board. We made a little trio that way! We spent every moment we could out there and all got really good. My middle brother Zack got really really good though, and kind of pushed us all to the next level. Spending time out there on the mountains must mean you were all very adventurous skiers? I have always been comfortable on the mountains – like I said I grew up on them and mountain life is certainly something that suits me and my brothers. But unlike them, I’ve always had a bit of a hesitation for mountain adventures – and I guess that’s where this story starts. The desire to seek more danger and exposure on the mountain has never really been my cup of tea. I’ve always felt anxiety about going on mountain adventures, as one should. But I’ve always blamed myself for being scared or not tough enough and so always pushed myself to do things that I wasn’t totally comfortable with. Can you talk us through what exactly happened the day you were caught in the avalanche? 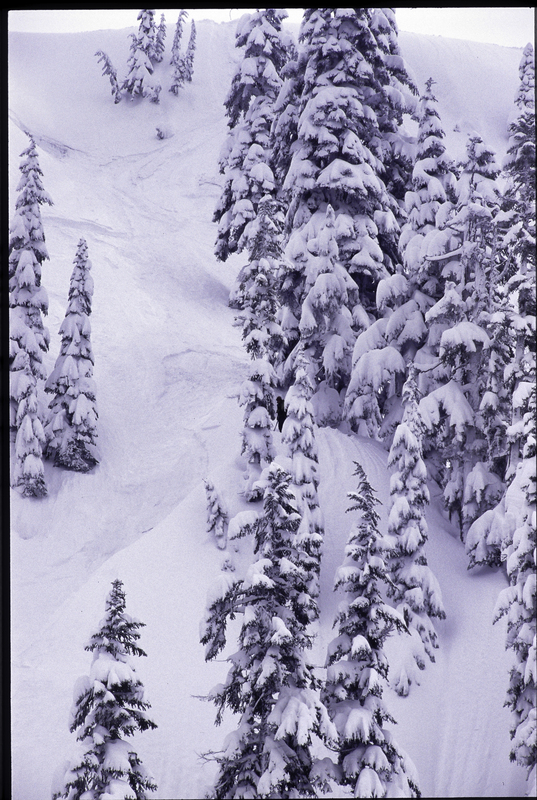 When I got caught in the avalanche, it was a calm, overcast day with 20 inches of fresh new snow. We had decided to ride the “safer” backcountry zone at Mt. Baker, known as The Elf Chutes. The snow was wet and heavy that day. The avy report was considerable. Dropping in, I thought about the camera. My brother was filming me from the other side of the mountain and I was imagining how sweet my turns and cliff drops were looking. Normally on this run, I would have dropped into the “safe zone” for a rest, but this time I continued on for the camera. I entered the next slope with too much speed and put on the breaks. Then it hit me. I was swept off my feet by a wave of ferocious, liquified snow. It took me head over heels down the mountain side and off a cliff. I couldn’t move and the air around me was becoming warm. I was getting sleepy. My board was barely sticking out of the snow but luckily, my brothers and friends could see me. They got me out in about three minutes – and at that point I knew I was going to be okay. The experience really had an impact on you. How did the avalanche affect you immediately after it happened? Because I tore my ACL, I had to take a break from snowboarding to recover which meant that I had a lot of time to contemplate what had happened. It really hit home that I wasn’t willing to risk everything to get these cool shots on the mountain – too much was at stake. It was something that I think had been brewing for a while but the experience really triggered me to think about it. I think if I hadn’t got injured and had been able to get straight back on the slopes, I probably would have been able to brush the experience under the carpet more easily. You decided to take a step back from skiing and your film making. How did you come to that decision? Was it a difficult one to make? It was a difficult decision to make – the mountain had been my life. But after the avalanche, everything scared me. Driving to the mountain, being at the mountain, even hearing friends talk about the mountain. I didn’t want to buy into the lie anymore. I didn’t want to tell people they should quit their day jobs to ski – to pursue this passion – when ultimately they could get seriously injured or even killed. For me, it’s contributing to something dangerous. Skiing and snowboarding are dangerous and when someone pulls out a camera, generally people go bigger, try harder and increase the risk. And I wanted to remove myself from the equation. You had some time off, but eventually did go back to boarding and even filming skiing. What made you return? I did really miss the mountain. But I also started getting opportunities to make ski films professionally. 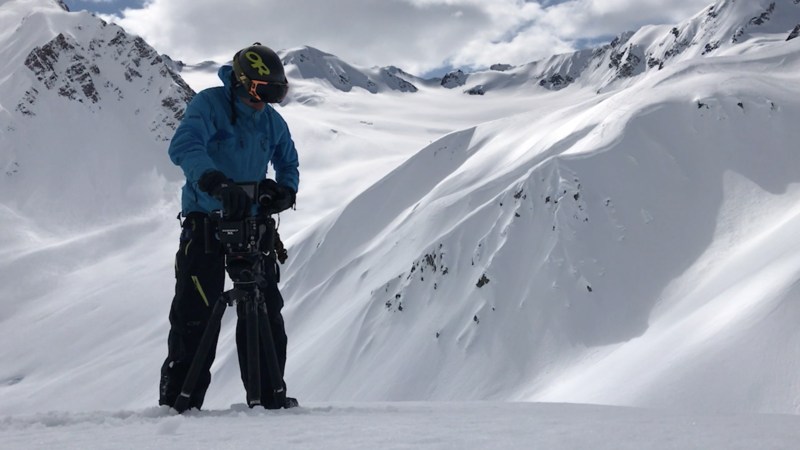 At the same time, my brother was seeing more and more success as a professional skier, so there were lots of opportunities to film him as well. I didn’t want to be part of the trips he was making – but at the same time, I couldn’t bear to see him go off without me. It wasn’t an easy decision to make – I still fundamentally disagreed with the risk involved. But at the same time I realised that by stepping back from the industry, I may have been making a point, but I wasn’t actually achieving anything. And that’s how Kodak Courage was born. Tell us more about Kodak Courage. A production company approached me about producing some creative content about “The Power of Film”. We realised that a story about my personal story, and the impact of the camera on extreme sports, was a perfect way to showcase this. I wanted the film to spark conversations – and it seems to be doing that well. I wanted it to prove that when a camera is involved, people take bigger risks and don’t calculate the risk to reward ratio. It’s almost never worth it and the camera is definitely a negative factor in it. I wanted it to engrain a sense of responsibility in people, to be more careful with themselves. To think twice. And to know it’s okay not to go for it, if you’re not 100% sure you should. Do you think Kodak Courage has had a positive impact on your fellow skiers? 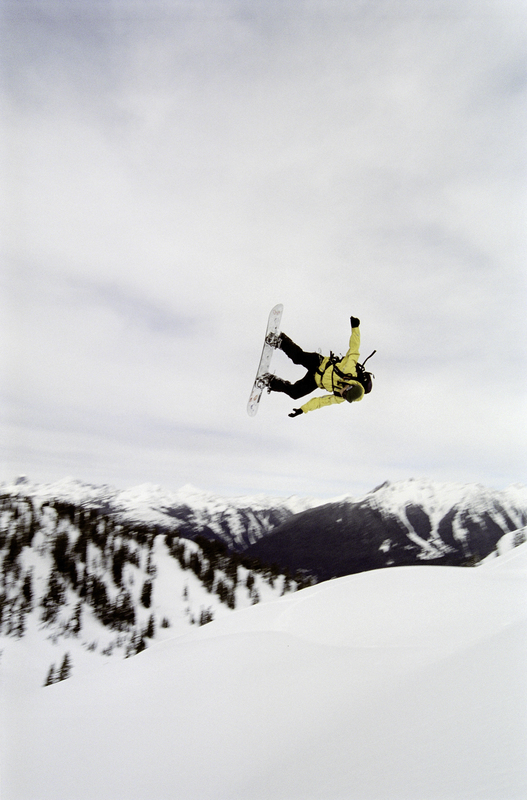 Or do you think that risk taking is too ingrained in skiing culture to be changed? I think it has helped others who have similar fears and anxieties to be empowered in their beliefs. I think it has also opened the eyes of the deniers – those who pretended that cameras don’t have a large influence on the industry. I think that this risk taking is fundamentally engrained in the sport but I do think it is something that can be combatted to an extent. I think there is a responsibility with brands such as Red Bull to be careful in what they inspire people to do – to make it obvious that there is a real different between professionals and people who are “very good”. And this may even just be a difference in the amount of safety procedures they have in place behind the scenes. But it’s something that, in my eyes, needs to be made clear when achievements are being publicised. If you had the option of going back and changing your experience and the path that took you down, would you? Who wouldn’t, right? Actually that’s a funny question. I look forward as much as I can – things obviously happen for a reason and in a way I’m glad I was caught in the avalanche because it’s great to know that I am making an impact, and hopefully making skiing a safer game to play. What advice would you give young skiers going down the same path as you? Don’t do it for the camera! Get your kicks and do the cool tricks. But don’t take unnecessary risks. If you don’t think it’s a good idea – don’t do it. There will always be another chance. Photos by Aaron Adams and Sam Giffin.